A group of seven snowmobilers was riding north of Cooke City when one was caught in an avalanche on a steep, northwest facing slope on Crown Butte. He was fully buried and located about 1.5 hours later 6 feet deep. 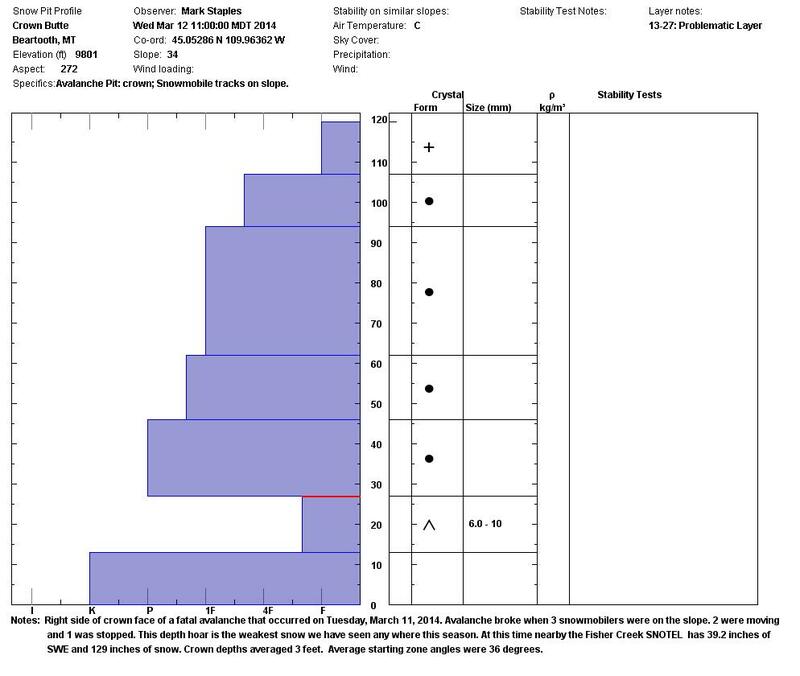 The avalanche broke 700 feet wide and 2-5 feet deep on depth hoar crystals about 1 foot above the ground. The avalanche ran 800 feet vertical and 1600 feet slope distance. Debris ranged from 5 to 15 feet deep and covered an area 900 by 400 feet. Slope angles in the starting zone ranged from 36-38 degrees. 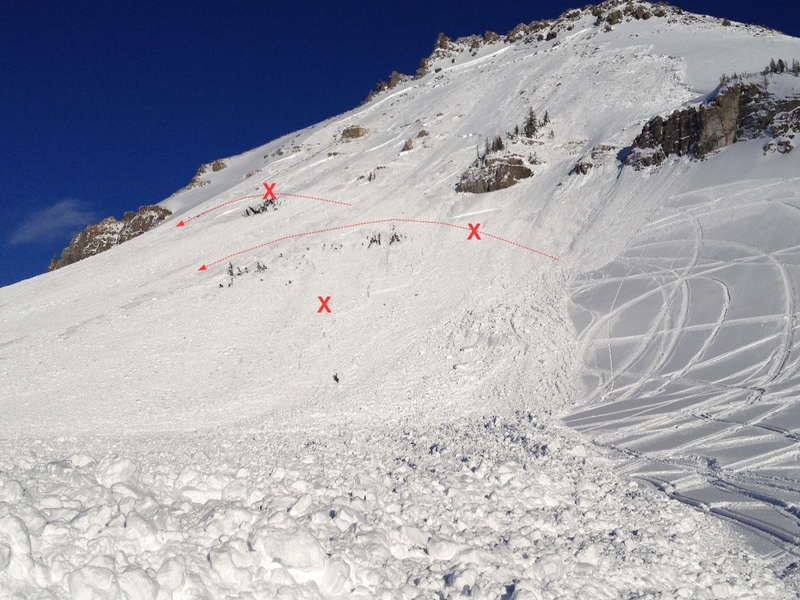 The debris field from this fatal avalanche was roughly 900 feet by 400 feet.. This slide broke in a very thin rocky area. This weak layer was the weakest snow we have seen all season.